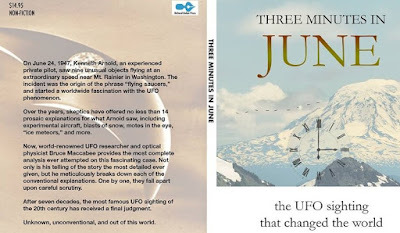 “Three Minutes in June” and “No Return” – beginnings of the alien UFO mystery? The end of 2017 saw UFO researchers contemplating the deeper implications and fallout of the revelation of a secret Pentagon UFO study and what may be the beginnings of a tipping point in a more mature and sensible UFO debate, along with a more serious response from mainstream media. The coming months should reveal if these are truly significant developments or passing aberrations. On available information the Advanced Aerospace Threat Identification Program run by military intelligence veteran Luis Elizondo, mediated by what seem fascinating and intriguing UFO or UAP events (such as the 2004 US aircraft carrier Nimitz F/A-18F fighter encounter) and close connections with Robert Bigelow’s aerospace company (and his “Skinwalker” ranch “high strangeness” milieu) may bring about some positive changes. I was especially taken by US Senator Harry Reid’s comments, “The truth is out there. Seriously. If anyone says they have the answers, they’re fooling themselves. We don’t know the answers but we have plenty of evidence to support asking the questions. This is about science and national security. If America doesn’t take the lead in answering these questions, others will.” Given my exposure to UFO/UAP research in places like China, I would suggest that perhaps others already have. While we examine such interesting new developments we should also reconsider the data and events that may better inform our understanding of this fascinating phenomenon, including ones that occurred decades ago. In this context 2017 also saw two watershed events (from 1947 and 1959) get impressive outings in book form – “Three Minutes in June – the UFO Sighting that changed” by Dr. Bruce Maccabee (Richard Dolan Press) and “No Return – the Gerry Irwin story – UFO Abduction or Covert Operation?” by David Booher (Anomalist Books) – each in their own ways potent “tipping points” for aspects of the UFO mystery. The first of these is more obvious, the second seems more like a hidden jewel that now seems to be shining in the light of providential renewed focus and attention. Both books deserve your attention. Kenneth Arnold’s sighting and the wave of sightings that quickly followed ushered in the modern era of “flying saucers”, UFOs or UAPs. 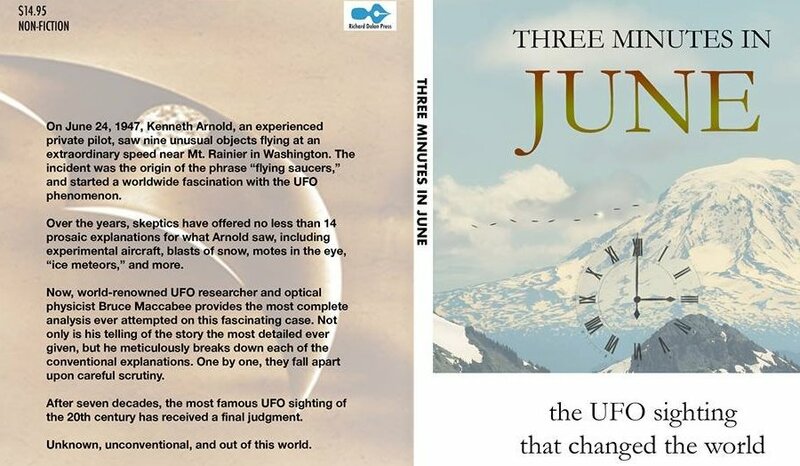 Dr. Bruce Maccabee with his book “Three Minutes in June” provides an excellent insight into the sighting “that changed the world.” I recommend this book. Australia was visited by similar aerial phenomena several months before Kenneth Arnold’s famous sighting. Bruce Maccabee was unaware of these sightings from down under, but were eventually sighted by local researcher Keith Basterfield in 2011, who documented them more widely. 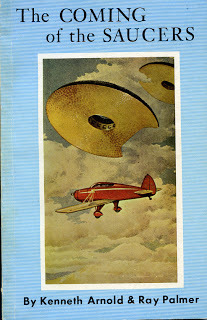 Eventually the February 1947 sightings got a fuller treatment in the final chapter (“Giant Flying Eggs”) of Chris Aubeck and Martin Shough’s book “Return to Magonia – Investigating UFOs in History” (Anomalist Books, 2015). What is striking is that they mirror the basic content of Arnold’s sighting but because they apparently went unnoticed outside of Australia they did not get the exposure of the June 1947 events. (Consult the above sources for the original February 1947 newspaper references). “Early in February, some queer egg-shaped objects, pink and slightly luminous, were seen to pass across the sky near Port Augusta, but this phenomenon was hardly so much as a nine day’s wonder, for a South Australian amateur astronomer was ready with a plausible theory about meteors, which most people promptly accepted. 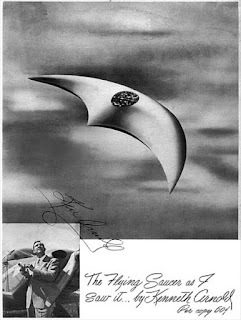 We now know that, in the slang of the moment, Port Augusta “started something.” The egg-shaped apparitions about which South Australia was mildly excited five months since, were plainly the harbingers of those “flying saucers” that have been creating such a sensation in America. Well, things didn’t wane and whatever was going on continued apace and took on varied forms and degrees of strangeness and wonder. The following book looks at one such strange wonder with a very discerning eye. 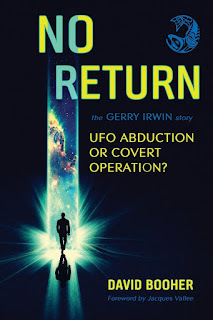 David Booher’s “No Return – the Gerry Irwin story – UFO Abduction or Covert Operation?” is an excellent insight into a genuine mystery, which may have been the earliest publicised account in the United States of an alien abduction. I thoroughly enjoyed this book as it took me on an informative and intelligent exploration of an event that had long intrigued me but which had received little attention. David Booher’s efforts certainly revealed the benefits of a detailed focus on one story combined with persistence. “On a lonesome road in Utah, a young soldier returning from leave speeds through the desert night. Suddenly the sky lights up as a blazing object streaks across the highway and crashes nearby. Stunned, the soldier stops and decides to investigate. Little does he know, but his life will never be the same again. This is the true story of a man named Gerry Irwin. Following a mysterious experience in Utah in (February)1959, inexplicable blackouts and bizarre behavior threatened to derail his promising Army career. Then one day he suddenly deserted his Army post in Texas and disappeared without a trace. No one knows what became of him—until now. Chapter 11: Amnesia from Space? Yes, Carl Jung corresponded with APRO’s Coral Lorenzen. I’m not going to spoil your journey with this excellent book by describing its contents. I will say, it's a wonderful thing that we have the likes of Patrick Huyghe and his publishing firm Anomalist Books. It provides an outlet for worthwhile books that would otherwise have to run the gauntlet of a publishing world that usually casts aside such thoughtful books. Luckily there are a growing number of outlets for such books, such as Richard Dolan Press (which published Richard’s own books, Bruce Maccabee’s “Three Minutes in June”, Mike Clelland’s fascinating book “The Messengers: Owls, Synchronicity, and the UFO Abductee”, “Russia’s USO Secrets” by Paul Stonehill & Philip Mantle, David Marler’s “Triangular UFOs – An Estimate of the Situation” and others), Philip Mantle’s Flying Disk Press (which has published intriguing books like “UFOs over Romania”, “UFOs over Poland”, “UFOs Today”, “The Rendlesham File” and republished “UFO Contact at Pascagoula”) and John Hanson’s Haunted Skies Publishing which brings you the wonderful “Haunted Skies” series and the massive book “The Halt Perspective”. Thank you to these publishers and others of similar mentalities, as well as the wonderful authors whose books take flight through them. It hardly a criticism, but I think David Booher’s book and the side of the scales he eventually tilts to would have gotten benefit from exploring the international UFO scene in 1959 in more depth. Less well known, but certainly well attested in their country of origin are the extraordinary encounters on Alor Island in Nusa Tenggara Timur Province of Indonesia during July 1959. They were published in an Indonesian book by J. Salatun, a high profile military man and politician in that country. 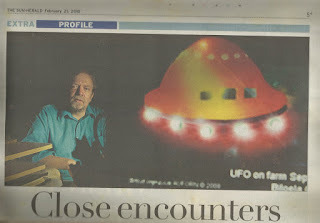 He was a focal point of UFO study in Indonesia. So he received a report from the investigating police officer of these intriguing events. Salatun’ informant was the head of the police office in the Alor islands area when the strange events happened. He reported there were “six aliens” who came to the area. They had long arms, wavy silver coloured hair. Some even had beards. These entities wore blue clothes with high collars, belts with some grey cylindrical stick and shoes that look like black military boots. Some local people indicated the entities appeared to searching for something. Information indicated that a six-year-old child was apparently kidnapped and then returned in confused state to a field area. Incredibly, some policemen waited for the return of the entities. Upon their return the police shoot at them (from around 13 metres distance). The police were astonished when none of the entities appeared to be injured by the gun-fire nor was any dead bodies found, despite the close proximity. They found some trees that had fallen down and some footprints, which ended after about five metres. Local witnesses reported that they saw an oval white-glowing unidentified flying object flying fast west to east over the sea after the strange encounters. 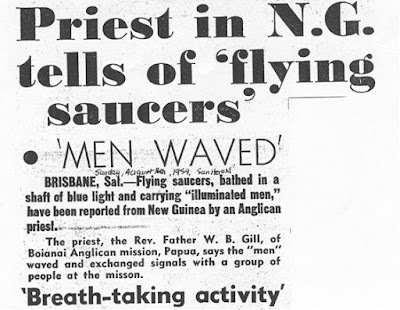 Strange events were occurring in Australia and New Zealand as well around this time. Three men - Bob L., "Yo Yo" W., and Brian K. - experienced a rather more ominous encounter on the outskirts of Cooktown, Queensland, on May 17th, 1959. They were crocodile hunting by boat in a swamp area. By 4.30 am, they had shot 3 or 4 crocs, when their attention was attracted to a piercing humming. A huge circular object suddenly came into view. It hovered at about tree top level some 100 yards away. The object, estimated to be about 50 yards across, appeared to be football shaped with a band of half moon shaped windows. It seemed to be issuing some sort of vapour. The sighting lasted some 20 minutes, during which time the men mostly lay hidden in long grass. Brian K. and W. stood up during the sighting. The UFO eventually moved in a semi circle, then rose slowly and disappeared at high speed. All three men discussed the extraordinary event, but agreed not to talk to anybody about it. Bob L. alleges all manner of severe physical effects as a consequence of this experience. He alleges that Brian K. died shortly after the sighting. He feels it was due to fact that K. stood up during the incident. He does not know what happened to W. Bob alleges the encounter led to loss of the use of his legs, severe headaches, sporadic loss of vision, and speech impairment beyond an existing speech impediment problem. He has had extensive hospitalisation and some institutionalisation, all of which he links directly and indirectly to his experience in 1959. I interviewed Bob L. during 1976. He was still suffering from a severe speech impediment, however the UFO event and post event history was told with some lucidity, albeit with difficulty. Whether the post event traumas were in anyway connected with the 1959 incident it is now impossible to determine. Too many complicating circumstances made the determination of any cause and effect relationship untenable. "...On the night of ...7th July 1959 at 9.20 pm, I was patrolling the stock route about 12 miles due south, south east from Burren Junction in my car. I saw a bright red light in the sky and stopped my car on the side of the road, alighted and observed that the bright red light was or appeared to be an object of a kind. It was reddish on top and from the bottom shone a very bright to blood red light. This came out in a cone shape from the bottom and thinning out in the middle of the cone. It hovered over the trees, backward and forward, and sideways. It did not appear to be very high in the sky and I fully expected the object or light to pass over my vehicle at any moment... It appeared to go away slowly to the West, North West and went out of sight. I could see it for some distance going away. "At the time I thought to myself it was so strange that no person would believe me if I told them about it. At 9 pm (sic? presumably 10 pm - B.C.) I was inspecting stock about 3 miles further on down the road (after I had kept this object under observations for at least 10 to 15 minutes). I mentioned the subject to a Mr. B___ who was in charge of the stock, and with two young lads who were droving with him, he told me that he saw (a) strange object near the roadway on the stock route. He said that at about 7 am that morning he mentioned to the boys, what was the big grey cattle float doing on the side of the road. He didn't think anymore about it, but later the two boys rode their horses within several hundred yards of what they thought was a float and stated that they saw a large grey thing, which looked like a triangle on the bottom with a dome on top. They stood watching for several minutes and then became almost frightened, when suddenly the dome disappeared and then the bottom as if by magic". In New Zealand things were also getting weird. 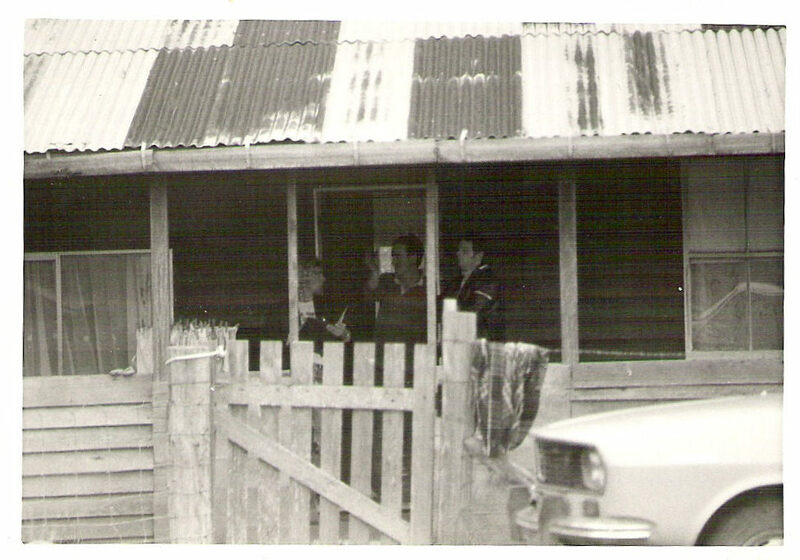 At about 5.30 am, July 13th, 1959, on a Blenheim property, Eileen Moreland was by torch light just starting to round up her cow herd for milking. Halfway across the paddock she noticed that the area had become bathed in an usual green glow. Mrs. Moreland looked up to find the source, where upon she observed two green lights, "like eyes", appear through the thick layer of cloud. The lights were circled by a band of orange lights. Mrs. Moreland fled to the shelter of a line of pine trees bordering the property. She was able to clearly see a flattish cylindrical object slowly descending from about 50 feet. It stopped some 30 feet above the ground, some 40 yards out in the centre of the paddock. The object appeared to be between 7 1/2 to 8 feet high and some 20 to 25 feet in diameter. It had two circumferential rows of orange-green "jets" set into bands at the top and bottom of the main body of the object. When the object stopped and began to hover steadily, the jets shut off and reappeared at a slight angle. These began to counter-rotate at high speed, to a point that the bands of lights resembled "halos". A loud humming noise was heard. Mrs. Moreland was disturbed when she saw that the strange aerial object appeared to be occupied. Inside a clear dome-like structure on top, she could see two seated figures. They appeared to be dressed in almost skin-tight metallic suits with large silvered helmets. One of the "men" suddenly stood up and leaned forward on his hands. He appeared to be observing something between himself and the other figure. The "man" seemed to be a little over five feet in height. No facial detail could be made out, as he was not facing in her direction and the large helmet covered from shoulder to shoulder. This "man" then sank back to his former position. The object then tilted slightly and began to rise vertically. It disappeared at high speed into the cloud cover. A high-pitched whine - an "unbearable" screech - accompanied the UFOs departure. Within a moment a wave of warm air reached Mrs. Moreland, along with a "strange hot pepper smell of ozone." Mrs. Moreland's husband was an Air Force officer. He encouraged her to report the experience. RNZAF officers visited the area and allegedly detected residual radiation where the UFO had been. Mrs. Moreland underwent audiotone readings supervised by Air Force personnel, which estimated the noise levels of the object at 15,000 cycles (hovering noise) and 150,000 cycles (high pitched screaming, climbing noise). Several days after the encounter, Mrs. Moreland's hands began to swell and get puffy. Her wedding ring became painfully tight and had to be cut off. The swelling gradually subsided. Brown pigmented areas developed on her face. These persisted for some time, the last blotch, over her right eyebrow, washed off 6 years later. A row of fruit trees that were situated beneath the position of the hovering object, died, and had to be pulled out. Grass in the area grew at much faster rate, to a greater height and much greener colour, than surrounding grass. Commanding officer Gainsford added in his 20th August 1959 communication to the Air Department in Wellington, "Flt. Lt. Jennings has spent considerable private time on this matter, is convinced that Mrs. Moreland is genuine, and is an extremely worried person. He is prepared to turn out at any hour of the day or night to personally investigate further incidents." Officer Jennings undertook a detailed interview with Mrs. Moreland on 23 July 1959 preparing a 5-page hand written report. Therein annotated to his conclusion that, "Mrs. Moreland gave every evidence of being completely sincere ..." Jennings apparently later added "Can I get more out of her??" Well, later evidence detailed from 1979 internal RNZAF commentaries certainly revealed that he did indeed get "more" out of her, and it was this material that changed matters for the military, raising the investigation to TOP SECRET, but the actual documents involved were censored from the 2010/11 file release. What remained in the immediate 1959 folios were tantalising. Folio 15A shows a human type figure in a bulky suit with the large helmet described in the earlier material, but now with some suggestions of facial detail, and various items shown. Officer Jennings various "NOTE FOR FILE" folios that are uncensored refer to the medical for Mrs. Moreland was for the purposes of checking "for exposure to radiation." Further they mention than on Thursday 13th August Mrs. Moreland had again detected the "smell of burnt pepper" that had been noted during the 13th July encounter. Officer Jennings was planning to visit the area the following Thursday "at about 0330 - 0400 hours and remain until daylight. I shall take a geiger counter with me." 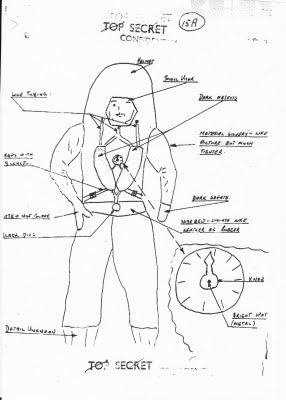 We have to move on to 1979 folios in the NZ government UFO files to get some of the other more tantalising details. 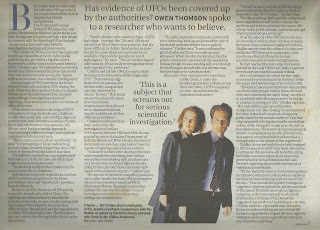 A civilian researcher Colin Emery had pressed Mrs. Moreland and the Ministry of Defence for the release of files on the Moreland case, citing a coverup, and claiming "the government has had confirmation of the sighting from the Air Force and (was calling) for the findings to be made public." 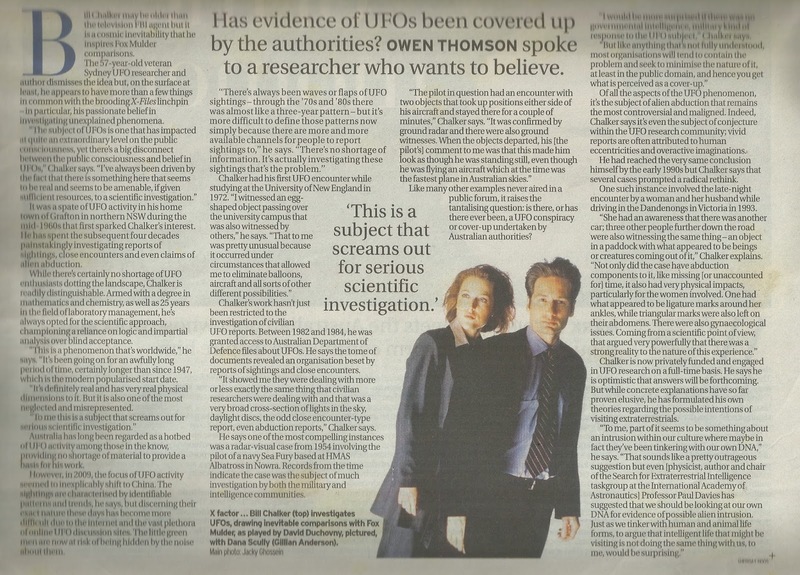 The official files do not reveal what Amery's "confirmation" consisted of, but this aspect is alluded to in Peter Hassall's 1998 book "The NZ files - UFOs in New Zealand"“(Amery) received information from two sources who refused to be identified. They both worked at Blenheim’s Woodbourne airbase in the 1950s and had been sworn to secrecy. One claimed that the wife of a squadron leader heard a jet engine-type noise between 5.30 and 6.00 a.m on 13 July 1959. Checks later showed no aircraft had taken off that early. Had she heard the UFO Mrs. Moreland saw as it departed? The other retired airman said he saw a blue light that descended from the sky about 5.00 a.m. the same morning. He reported it to his superiors after the furore broke over Mrs. Moreland’s report. Twenty years later they were still too scared to speak openly due to the possible legal penalties.” Mrs. Moreland’s encounter took place between 0530 – 0545 on Monday 13th July 1959. “3. (Mrs. Moreland’s) initial story was to the effect that she had only seen a craft descend, hover and then ascend. She subsequently told the investigating officer (presumably officer Jennings – B.C.) about the landing of the man, who she described as “like any other man” as far as she could tell, though his left hand was “missing below the wrist”. “4. Mrs. Moreland claimed to have smelt the peppery smell on several subsequent occasions and to have seen the light again in March 1960…. A rash of small “blisters” which appeared on her some days after her encounter on 13 July was examined by an Air Force doctor in order to determine whether it might be radiation-induced; the doctor, however, concluded that it was probably allergic in origin. A minute sheet dated 6/3/79 on the “Moreland sighting” from “RO(H) to D.B.G. McLean, the Secretary of Defence, added, “The security classification of the matter was raised from confidential to secret following (officer Jennings') main interview with her in which she claimed that a man had landed and shouted at her in a foreign language. (The investigating officer (Jennings – B.C.) thought the words she heard might have been Russian!!)." Well it seems the files remember her and some of the hidden details despite the censorship. Is it likely that the censored files contain further information that may explain more clearly what happened that “awful morning?” Lets hope we don’t have until 2040 to find out! The material so far released suggests there may still be more to learn of the events on the Moreland farm near Blenheim in the south Island of New Zealand back in 1959. Did it involve a close encounter that had a more direct impact on the RNZAF than we directly know to date? Or was it about the fears and concerns of the time. After all, the Cold War was being played out. The Petrov Affair in nearby Australia in 1954 had led to the Russian Embassy being closed and relations severed. This situation thawed in 1959 when relations resumed. Was the Blenheim encounter in 1959 seriously considered as the “Russians are coming!” Mighty strange those “Ruskies” caught up in the web of the Moreland revelations. 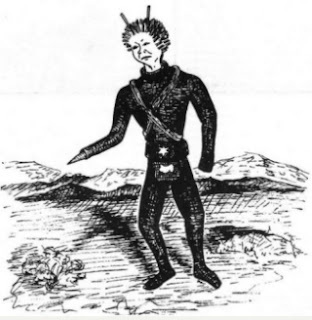 The Moreland "man" Carl Hidgon's "visitant"
When I read the curious detail that described the entity Mrs. Moreland encountered as having no left hand, I immediatedly thought of the strange entity reported in the bizarre Carl Higdon abduction, which occurred in Wyoming during 1974. A detailed account of this weird affair was provided by Dr. Leo Sprinkle in "UFOs and the Behavioural Scientist" (1979), edited by Dr. Richard Haines. These sorts of 1959 events in Papua, Indonesia, Australia and New Zealand would, I think, shift the scales in strange directions in what might of happened to Gerry Irwin in Utah during 1959. In terms of the “fractured memories” that Gerry Irwin endured, this distressing and confusing element is of course no stranger in UFO encounters. Consider the following two Australian cases. I think they have a lot in common with Gerry Irwin’s strange experience. 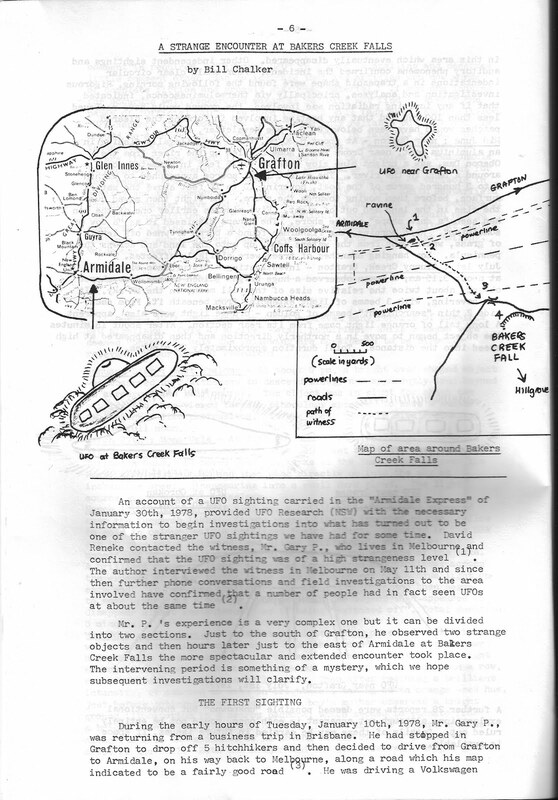 David Booher mentions one other Australian case I investigated – the very strange “interrupted journey” of a Finnish couple travelling near Gladstone Queensland in 1971, so I’ll leave you to discover that case via his book, then you can get more detail from my 1996 book “The OZ Files – the Australian UFO story”. 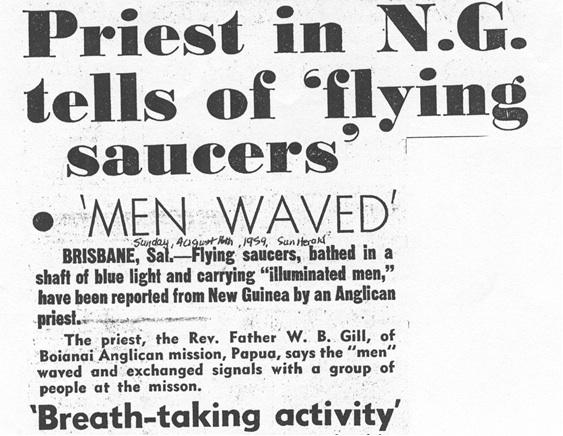 1978 was a memorable year for UFO activity in Australia. Activity had been building up all year. The year got off to a spectacular start with a vivid and prolonged close encounter at Bakers Creek Falls, near Armidale, NSW. 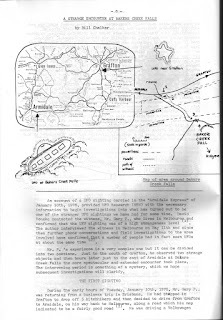 This is the strange experience of Gary P. on the Old Grafton Armidale road, during January, 1978, which I detailed in "Australian UFO Newsletter". During the early hours of January 10, 1978, Gary P. observed two UFOs about 10 miles out of Grafton, along the Old Armidale Road. One of the objects approached and seemed to be slowly moving down the side of a mountain. It seemed to periodically issue a "shower of sparks." This sighting apparently lasted for about 20 minutes. Mr P.'s perception of time from leaving Grafton, up until he finds himself at Bakers Creek Falls - a distance of about a hundred miles - is certainly not clear. He thought the first sighting, out of Grafton, occurred a long time out of Grafton, but apparently, after retracing his route, he is certain that it occurred only about 10 miles out of the town. He thought it was only a few minutes after leaving the first UFO sighting behind that he saw `a group of hunters' gathered around a fire beside the road, but his reconstruction, upon returning along that road, places these `hunters' a good three quarters of an hour in time after this. Then he felt it was 10 or 15 minutes before he finds himself at Bakers Creek Falls. His second trip along that road put it at about an hour and a half. In fact, he cannot even recollect driving the distance between seeing the `hunters' and turning up at Bakers Creek Falls. Although it is common for people to drive long distances without recollection of the trip, this particular road would seemingly preclude it. For much of its distance, it is dirt gravel surface, which winds its way up into plateau country. The road twists and turns and, even when it finally gives way to a bitumen surface, it still requires complete attention to travel it safely. Having driven up and down this road many times myself, I find it astonishing that someone, not having travelled it before, would not have a vivid memory of a fairly bad road. In fact, without recall to total faculties, I would expect that a weary traveller would instead find himself parting company with the road in many places. Mr P.'s recollection of the hunters and the surrounding locality may place it at Tyringham - a small community about half-way between Grafton and Armidale. Here, in 1973, I investigated what appears to have been one of the most intensive UFO flaps ever experienced in Australia. Mr P. did not stop and share his adventure with the `hunters' as he felt he may have been ridiculed and the hour may not have been amenable to safe roadside meetings with strangers. Shortly after this, he recollected seeing `the same thing again - these yellow objects out in a paddock,' but he was not certain. He continued on without any recall of what happened until just outside Armidale, at Bakers Creek Falls. "What happens was - next recollection was that I'm stopped on the side of the road, and I'm looking out to the left this time, and what I'm looking at is an incredibly bright...what I thought was a chicken farm...and I'm looking at this thing and was watching it for a good 10 minutes and there was nothing happening...I just couldn't believe it, but how bright this thing was...and I was about to take off...I actually lined this the chicken coop - (this thing) what I actually saw, was that the chicken coop moved!" After a lengthy diversion with an unco-operative "witness," (wherein he tried to flag down a car that drove past 3 times), Gary P. set off into the paddock to get closer to the extraordinary object he was seeing. However, as he got nearer, the object seemed to retreat into the extensive fog that surrounded it. Gary P. eventually found his way to the Falls area and saw the fog retreating out of the ravine. Suddenly, the fog stopped and Gary P. was shocked to then see that the fog was now returning along its original path towards him. It quickly enveloped him, reducing visibility to less than 10 feet. The return of the fog was accompanied by a sound similar to that of a vacuum cleaner. A column through the mist could be made out above him where he could see the sky. The fog then quickly dissipated, along with the sound, leaving Gary P. alone at the falls. He waited until morning then returned to the car. Standing at the car, he noticed what he described as two "shockwaves," one minute apart, which were like the whole area being suddenly shaken. Then normality, 7.05 a.m. and morning. Gary P. was profoundly affected by this experience. I had no doubt about his veracity and was impressed with his account. I could add many more cases that resonate with Gerry Irwin’s strange 1959 experience, but I will leave you with a very strange Australian story that is not well known. Like Gerry Irwin’s “fractured memories” the weirder aspects emerged in strange ways. The case was investigated by my late friend David Buching. I wrote it up and it was published initially in the 1976 catalogue of Close Encounters of the Third Kind compiled by Keith Basterfield and myself. The object, estimated relatively to be about half a finger at arms length in diameter, moved very slowly across the sky for about a mile. It stopped, then suddenly out of one end shot a “falling star.” It went right over the back of the caravan, towards the south-east, heading in the direction of Lake George. Mr. L. began to think it was indeed a star falling, but it stopped abruptly before it reached the horizon and appeared to hover there for 2 or 3 minutes. Then suddenly it appeared to be coming closer and closer. In about 5 or 6 seconds, the thing had approached to within about two miles over the neighboring property, hovering at about 2-3,000 feet and changing colour to red. L. was now shaking with fear. The object now appeared to be a “perfect” sphere with a “fiery red colour.” It then swooped down and appeared to skim just over the top of a hill in the direction of Lake George, then moving very slowly and stopping again. The farmer started watching the object through binoculars, seeing it turn end or end. Armed with them he went out into the cold frosty night, accompanied by his dog. He could see it much better. “It was just like a big ball … it was the biggest bloody thing I had ever seen in all my life. A white light on it started flashing and there appeared to be a purple light underneath it. The object then began to move again finally apparently landing behind trees several miles away. Mr. L. understandably did not want to go closer, so he returned to the caravan. Upon lying down he saw that the original cylinder was still there high in the sky. By 3 a.m. it was gone. Mr. L. ventured out again with his dog and starts walking over to where the huge sphere appeared to have landed. On top of a hill apparently several miles from the caravan he began to smell smoke. More than one dog started to bark from the direction of where the sphere had landed. As he approached L. heard someone shout, “Shut up… shut up,” in a very decisive way. The dogs stopped barking. L. decided to not “bust up” what was going on. L. described it as “sheer bedlam” in the assumed UFO landing area that was obscured from his view. Later he was later surprised that no one else in the area hear or observed anything unusual. Cattle and dogs all around the area were apparently making a terrific noise and a horse in foal on a neighboring property “was fairly screaming.” He could hear cattle pounding all over the place He heard dogs bark a few more times and by 6 am it started to get light. With better light he found an area burnt and smoking for a distance of 200 yards, but nothing else. Whatever or whoever was causing the disturbance was gone. L. related this experience to David Buching in an interview in January 1975, which showed two things. L. exhibited profound fear and anxiety while relating his experience, particularly in attempting to describe the size of the sphere, and there were large discrepancies and gaps in the narrative. Some of these aspects upset the witness considerably. It seemed he was attempting to describe a real event, but parts of the experienced remained unrevealed. In the wake of these disclosures L. became increasingly apprehensive and seemed to becoming mildly paranoid. His daughter, fearing he might do himself harm, had him examined. This resulted in L. being eventually committed to a mental institution where he was diagnosed with mild paranoia and schizophrenia, apparently because he was claiming to see “invisible spacemen” near him. David Buching was naturally concerned about the welfare of the farmer and visited the institution. 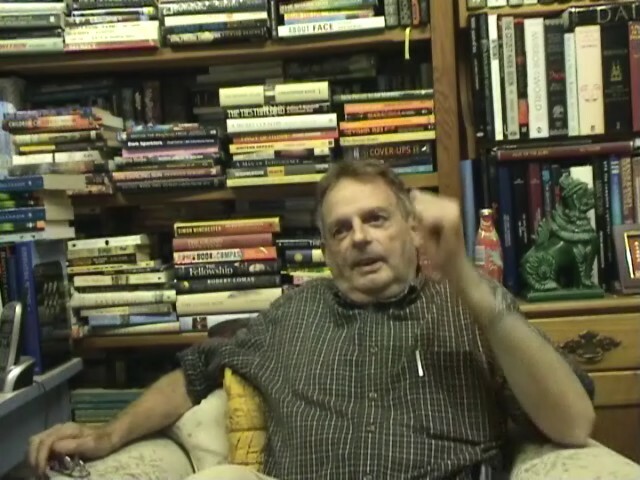 He was shown treatment notes, but when he volunteered that he was not a treating doctor but rather a UFO researcher he was immediately asked to leave. The treatment notes revealed that after psychiatric treatment a scenario was revealed indicating that L. may have undergone an encounter with a UFO and its occupants. This information seemed to fill in many of the gaps that were evident in his lucid interview with David Buching in January 1975. Here is the story that emerged from David Buching’s recollections of the treatment notes. L. told doctors the spherical object had apparently come down behind trees at the back of his property. L. alleged he walked for about 4 miles and approached the huge object which seemed to be hovering just above the ground. L. described approaching the object to within 300 yards with his terrified dog in his arms. He then began to look at the object through his binoculars. Then “men” (3 or 4), described as being 8 to 9 feet tall and wearing glowing “silver” suits covering their whole bodies up to the neck, came from behind the object and floated to the ground. There were no apparent facial features discernable, and the heads seemed rather small in relation to the rest of their bodies. The “men” slid around the object apparently watching things. Then a “chute” came down from the side of the object. What seemed to be cylindrical metal “packing cases” came down the slide. The “men” picked these up and conveyed them to the edge of the illuminated area. Then about 40 head of black cattle came down the chute, driven away by normal looking people with dogs. Beyond that L. did not describe any further details, becoming rather vague. Was this experience the results of a troubled mind, complicated by psychiatric treatment. L. had no apparent grounding in UFO lore. The group UFOIC was no longer able to investigate this experience because the farmer’s family insisted he stay in the mental institution – a sad and confronting story, which, like some of the other stories, make one wonder if this is more about aliens or extremes in the eccentricities of the human condition, in some cases mediated by human experimentations in treatment and control – in other words the kind of questions and issues evident in the Gerry Irwin case of 1959 and the many similar cases that followed – the legacy of strange alien encounters or fractures in the human condition? Coordinator of the Sydney based UFO Investigation Centre (UFOIC) & the Anomaly Physical Evidence Group (APEG). Information about sightings and research are most welcome. Author of "The OZ Files - the Australian UFO Story" (1996), "Hair of the Alien - DNA and other forensic evidence of alien abduction" (2005), and "UFO History Keys - Examining the UFO controversy from a historical perspective" (2011). Enquiries via billozfiles@tpg.com.au or P.O. Box 42, West Pennant Hills, NSW, 2125, AUSTRALIA. 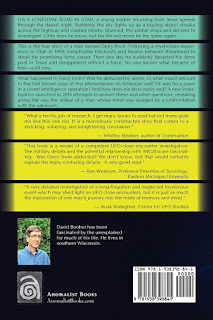 In "HAIR of the ALIEN" (order via www.amazon.com) my primary focus is promoting a forensic scientific approach to examining the alien abduction controversy, concentrating on the DNA approach where compelling biological evidence is available.